Catholic priest and Spiritual Director of the Adoration Ministries, Enugu, Rev. Fr. Ejike Mbaka, has made a u-turn in his support of President Muhammadu Buhari, warning him that Nigerians will ‘change’ him in 2019 if he does not change his style of leadership. Making the declaration at the Adoration Ground, in Emene, Enugu, Mbaka, who has always been one of Buhari’s most vocal supporters, said that Buhari was ‘toying’ with the victory he got in 2015. He expressed dissatisfaction with Buhari’s leadership, which, according to him contributed to making 2017 one of the most horrible years in Nigeria’s history, Punch reports. “The Lord says captive Nigerians, you will be speedily rescued. Things are very very difficult, hard and tough nowadays. The hardship is not from God, they are man-made. 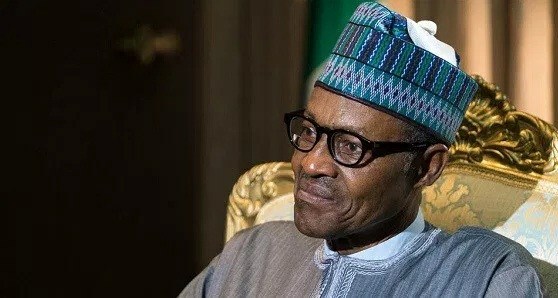 “The wicked cabal and satanic agents in this country have wickedly kidnapped the goodwill and good intentions of Mr. President, Muhammadu Buhari. His good intentions have been kidnapped. Mbaka also faulted Buhari’s anti-corruption campaign, saying rather than the said cabal, the number one citizen should be blamed for the problems in the country. “Mr. President, you are to be blamed, not your cabal. You have your brooms, but the cabals have their bags; either you sweep them away or they throw you into the bag. “His (Buhari’s) pattern of battling corruption is not just archaic and barbaric; it is a witch-hunt, terribly selective. The fiery priest advised Buhari against seeking a second term and warned him that he risks being ‘blown away shamefully’ by the wind of change which he set off when he defeated former President Goodluck Jonathan in 2015, adding that Gombe State Governor, Ibrahim Dankwanbo, was an alternative for the North to complete its eight years at the top office. “I am not campaigning for (Dankwanbo) but I am talking about somebody who can lead us forward; somebody with vision; to change Nigeria is not difficult.